Are you a DJ looking forward to letting your audience know about the great work you have been doing? It could be about your upcoming event or your regular amazing music mixes. Well, you have a variety of promotional mediums to spread the word about your services- through flyers, billboard, posters and so on. 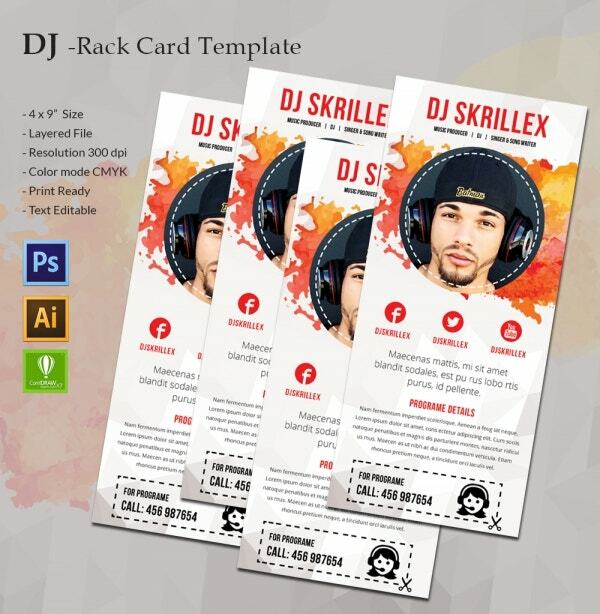 No worries, there are DJ service templates now with ready-made formats for all the promotional mediums so that you don’t have to design the entire thing from scratch. You can also see Poster Templates. 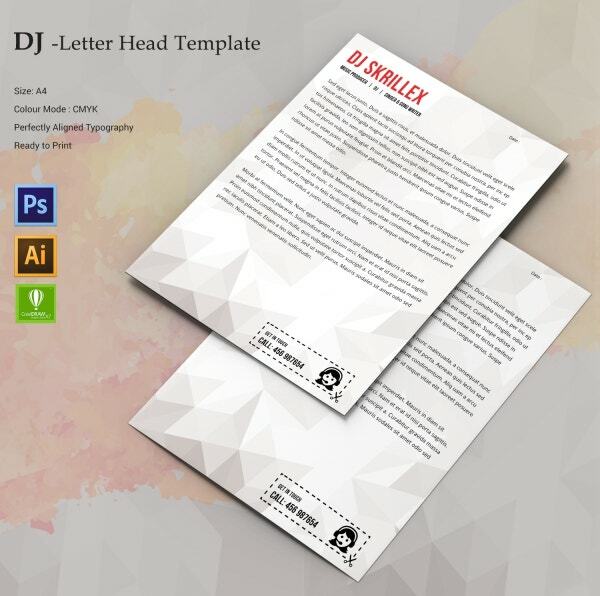 This A4 letterhead template would be great for your DJ house with its professional attire and smart outlook. It starts with your DJ title and services at the top and below you have adequate space for your text. At the bottom, you have a CTA tab with your cell number. 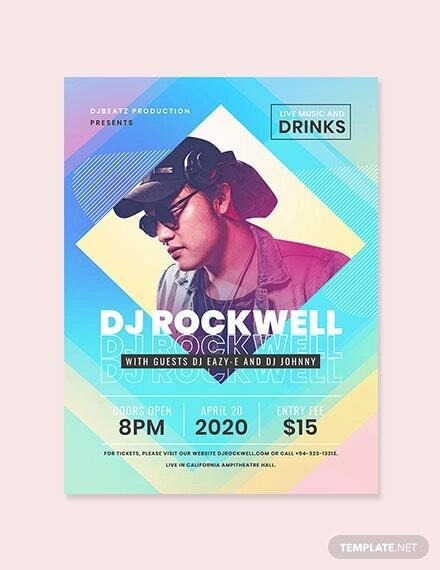 The poster template here starts on an attractive note where you can put your DJ image at the center, flanked by colored waves which signal the vibrant world you create every time with your music. Below you can write your slogan followed by unique features of your service and also mention the great venues where you have performed. This rack card template would be great if you are looking to spread the word about your upcoming event or program. It opens up with your photo and below, you can detail about the wonders your audience will experience at the upcoming event. You can also mention about your business page in the popular social media accounts like Facebook, Twitter, and YouTube. 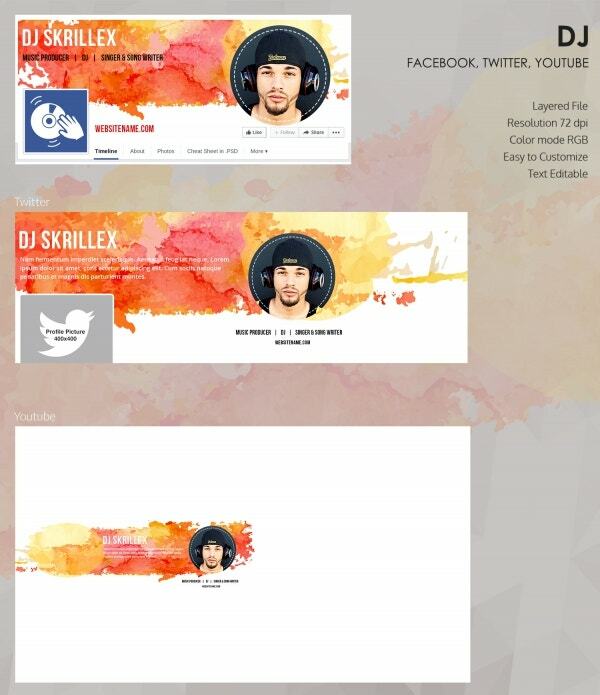 If you are planning to create a business DJ profile on the major social networking platforms and looking for ideas on the cover page, here you have some great templates for Facebook, Twitter, and YouTube. 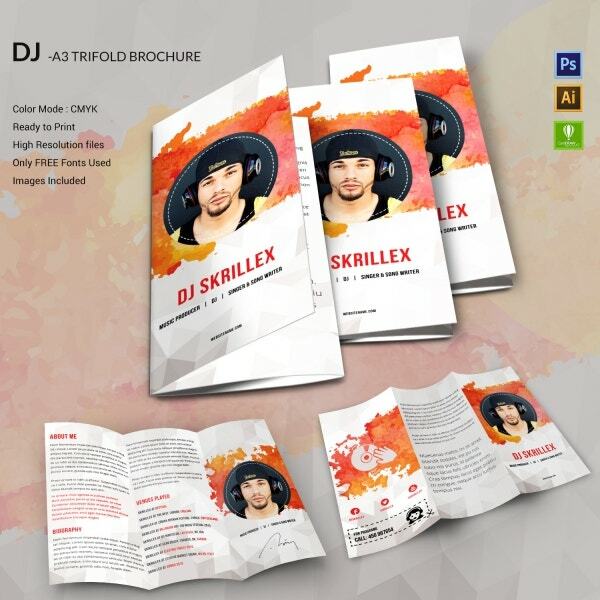 The splashes of color around the image duly suits the colorful world of DJs. You can include your slogan as well. 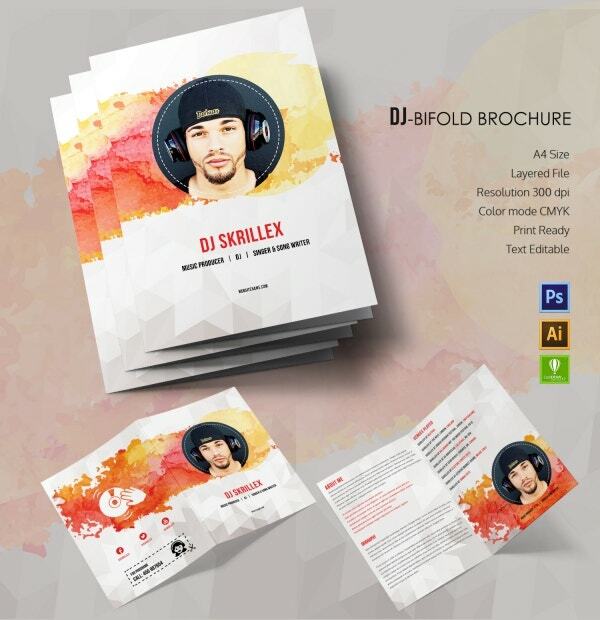 You have a minimalist yet eye-catching bi-fold brochure to promote your DJ services. It opens with your photo in the DJ avatar on the cover page with splashes of bright color that make an awesome contrast against a white backdrop. Inside, you can detail about your illustrious career and the elite venues where you have played before. You have a smart A3 tri-fold brochure here where you can speak in detail about your great career and the amazing venues where you have played so that your audience can have a hang of your high-profile performances. The brochure will also enable you o mention your contact details and social media profiles. 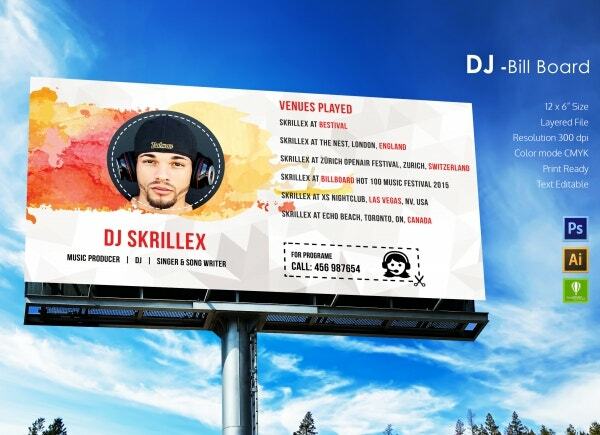 A billboard would be great to get a broader exposure for your DJ services and this smart and practical billboard template here would be just the thing for you. 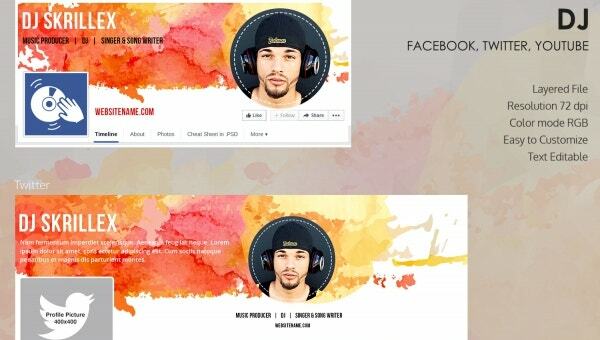 On the left, you will have your image in big followed by your name and services you offer. At the right side, the template offers a sizeable space for the venues you have played at and your cell number. 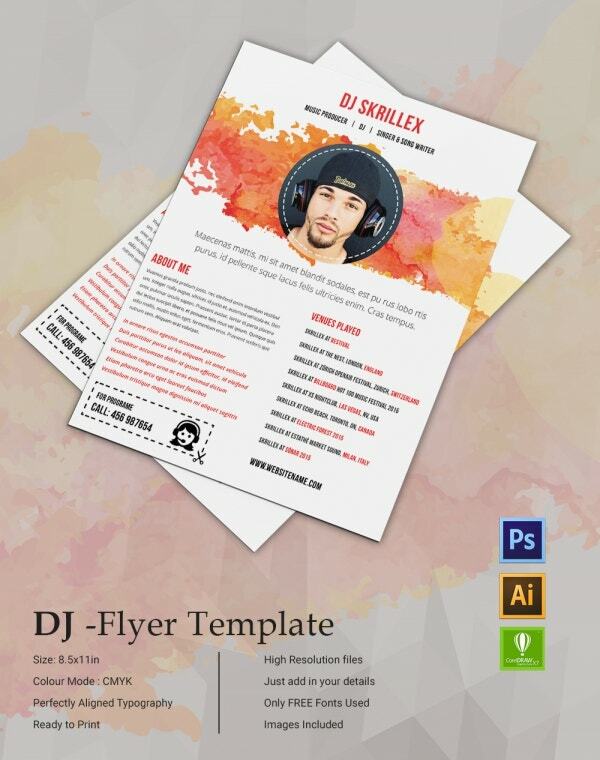 You have a stylish and professional DJ service flyer template here that opens up with your image in the DJ attire. Below, you can write your slogan, your unique music approach, and your message. The flyer template also provides space for the many international venues you have played; you cell number and the website URL.